← Traversing in the 10 inch eclipse vise. This entry was posted in Meanderings, woodworking. Bookmark the permalink. 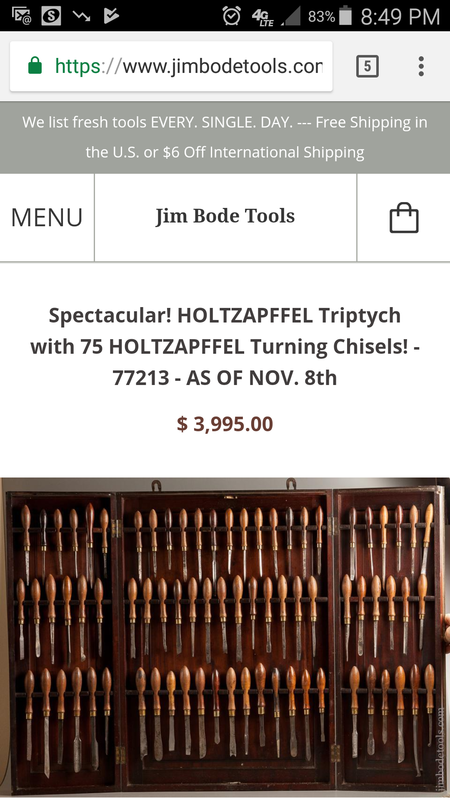 2 Responses to Check out this set of Holtzapffel tools in a very familiar looking case. Neat! I wonder what happens when you get a new roughing gouge? I suspect the new ones go where the most used reside, a drawer nearby. We tend to plan for finality. 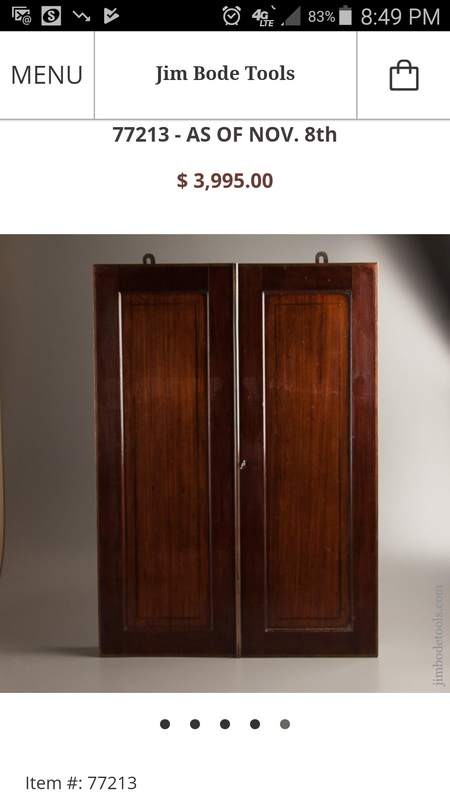 I thought it might be a store display cabinet.